Prof. Golinkin has made an invaluable contribution to the development of Jewish Law. He is the founder and director of the Institute for Applied Halakhah. He directs the Center for Women in Jewish Law, whose research and publications, especially in the area of agunot, have made a significant contribution to advancing the status of women in Jewish Law. 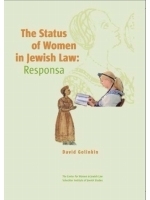 His latest book, The Status of Women in Jewish Law: Responsa, a seminal work in the field, has made a major contribution to advancing the rights of women through the prism of Jewish law. 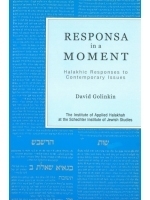 For twenty years, Rabbi Golinkin served as Chair of the Va’ad Halakhah (Law Committee) of the Rabbinical Assembly which writes responsa and gives halakhic guidance to the Masorti (Conservative) Movement in Israel. 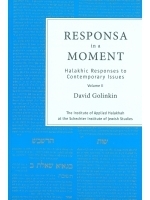 Rabbi Golinkin is the author or editor of forty-five books, including The Status of Women in Jewish Law: Responsa (Hebrew and English editions), The Shoah Scroll, Insight Israel: The View from Schechter (2 volumes), The High Holy Days by Rabbi Hayyim Kieval, Za’akat Dalot: Halakhic Solutions for the Agunot of our Time, The Schechter Haggadah, the Hebrew edition of Legends of the Jews by Louis Ginzberg, and The Student Struggle Against the Holocaust. He authored a column entitled “Responsa” which appeared in Moment magazine from 1990-1996. From 2000-2006 he authored a monthly email column entitled “Insight Israel” at www.schechter.edu. His current email column on that website is entitled “Responsa in a Moment”. He has published over 200 articles, responsa and sermons. 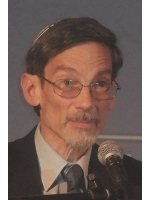 Rabbi David Golinkin was born and raised in Arlington, Virginia. He made aliyah in 1972, earning a B.A. 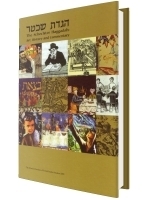 in Jewish History and two teaching certificates from The Hebrew University in Jerusalem. He received an M.A. 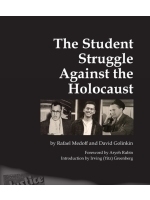 in Rabbinics and a Ph.D. in Talmud from the Jewish Theological Seminary of America where he was also ordained as Rabbi.